Cable assembles are groups of cables that have been cut to a specific length and bundled together in a precise orientation to make assembly and installation easier. Custom cable assemblies can be bound together using tape or cable ties, or a sleeve can be placed overtop to keep the cables together. Cable assembles are frequently used in mass production applications, particularly in the automobile industry. Working with a cable assembly manufacturer makes creating custom cable assemblies that meet your specific needs simple and efficient. They can be designed to meet specific temperature, moisture, size, and even color requirements. Omega Leads, Inc. is the cable assembly manufacturer of choice for OEMs in a broad range of industries. From coaxial cable assemblies to high voltage cable assembly solutions, we are a custom contract manufacturer with capabilities to create custom cable assemblies that meet the exact specifications our customers require. At Omega Leads, we are equipped to manufacture custom cable assemblies in any quantity to meet the production demands of your project. Whether in small batches or in high-volume production runs, all of our cable assembly solutions are custom made to match our customers’ design needs. We manufacture to IPC/WHMA-A-620 standards, with complete electrical testing. 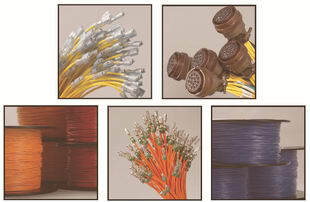 The end result is a cable assembly that is ready for immediate use in your application. Request a quote today or contact us to discuss your custom cable assembly requirements. Whether your cable assembly needs two wires to fifty or more, no matter what size, gauge, or length of wire is needed, no matter what sort of connectors it requires, we can manufacture a top-quality, cost-effective solution. Every custom cable assembly we produce is manufactured to the highest levels of quality. We use state-of-the-art production technology and proven processes to ensure superior quality, precision, and lot-to-lot uniformity. We utilize IPC/WHMA-A-620 * quality standards in all manufacturing processes. Our production capabilities also allow for complete manufacturing traceability. All cable assemblies are thoroughly tested to ensure proper performance. Omega Leads is UL- and CSA-certified for both manufacturing and the repackaging of bulk materials. We are also * ISO, RoHS, and WEEE compliant. All Omega Leads products are * made in the USA. As needed, our in-house applications department can help your team optimize your design for ease of manufacturing and/or reduced production costs. Before starting full production, we can manufacture prototypes and/or first articles that enable you to test your cable assemblies’ form, fit, and function. Prototyping helps ensure perfect fitment and eliminate any confusion on your production line. 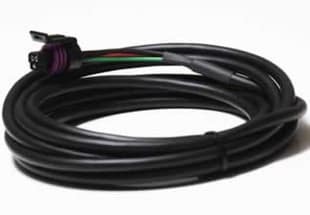 For superior quality electrical cable assembly, custom cable assembly, and coaxial cable assembly solutions for your unique application, make Omega Leads your first choice. Request a quote or contact us to discuss your custom cable assembly requirements.